The DTI says the Copyright Amendment Bill will help tackle piracy and protect local artists. 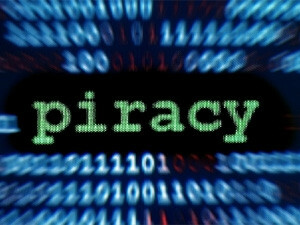 Public comment and "raw criticism" will lead to a healthy and improved Copyright Act that will help tackle piracy in South Africa. This is according to the Department of Trade and Industry's (DTI's) chief director of legislative drafting, Ria Nonyana-Mokabane, speaking at the Copyright Amendment Bill Conference last week. Nonyana-Mokabane said the Copyright Amendment Bill will lead to an informed way of handling the long-standing issue of dealing with piracy, the role of collection societies and the regulatory framework for needle time royalties. The Bill aims to amend the Copyright Act 98 of 1978, with key areas including the provision for management of digital rights, the protection of fair use of copyright work and the establishment of an Intellectual Property Tribunal. The Copyright Amendment Bill was published for public comments on 27 July. Usually the public are given 30 days to comment but the DTI has extended that deadline to 16 September. The DTI says the current policy revision is based on the need to bring the copyright legislation in line with the digital era and developments at a multilateral level. "The universal purpose of copyright is to reward and incentivise creators of knowledge and art. The purpose of the Bill is to increase access to knowledge, access to education, learning materials for nationals and persons with disabilities. The creative industry, particularly musicians, are vulnerable to abuses by users of their intellectual property and the Bill seeks to redress this matter," according to the DTI. Eugene Mthethwa, president of the South African Music Industry Council, also spoke at the conference and called for more combined effort between government and the creative industry to empower the Bill in delivering significant impact against copyright piracy and other future copyright infringements. "These combined efforts between government and the creative sector will be key in reversing the futile efforts that are often executed in disorganised spaces that have no significant impact against those that are exploiting the works of our local artists," said Mthethwa. He noted there is a need to combine and strengthen the monitoring and evaluation mechanisms that government introduces to fight piracy. Retired judge Ian Farlam, who is chairperson of the Standing Advisory Committee on Intellectual Property, agrees the South African Copyright Act needs to be updated in order for South Africa to keep up with its international peers. "The Bill presents an opportunity for South Africa to catch up with the rest of the world in terms of copyright issues," says Farlam. He believes the draft Bill has addressed a good deal of the recommendations made by the Copyright Review Commission, adding that lot of work needed to be done to address consistency and coherency of the copyright industry in this regard. "It is important to have an efficient body to produce the right answers to the artists. The Copyright Tribunal should be able to preside over cases and resolve them speedily," adds Farlam.